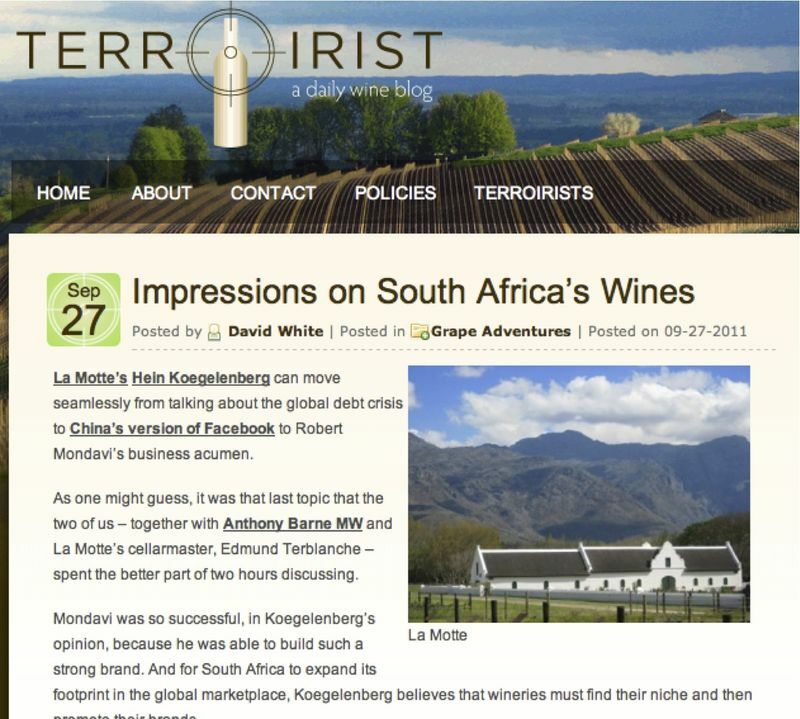 I was recently interviewed by David White for the Terroirist, a highly respected international wine blog. We chatted about a range of topics including the importance of building wine brands. David sums up my belief for South African wine when he writes “And for South Africa to expand its footprint in the global marketplace, Koegelenberg believes that wineries must find their niche and then promote their brands.” After favourably reviewing a couple of South African wines, David concludes “These are the brands that I’ll be seeking out, and I’m sure there are many others — as my experience was just a snapshot. There are countless more South African wines to taste.” To read the entire article, click here.